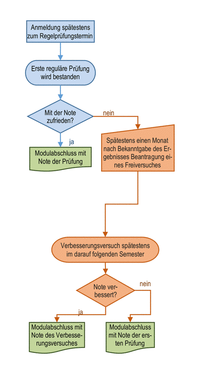 A module-related examination can be considered as a free trial (Freiversuch) if it was taken according to the examination schedule (Regelprüfungstermin). Candidates have to apply for that within four weeks after notification of the exam's result in written form, see form. There is no free trial for the master thesis. Free trials are possible for module-related examinations with totally 38 credit points (1/3 of the CP of all modules contributing to the final grade). If a passed exam is declared to be a free trial, it can be taken again in order to improve the grade. The candidate receives the better grade of the two exams. 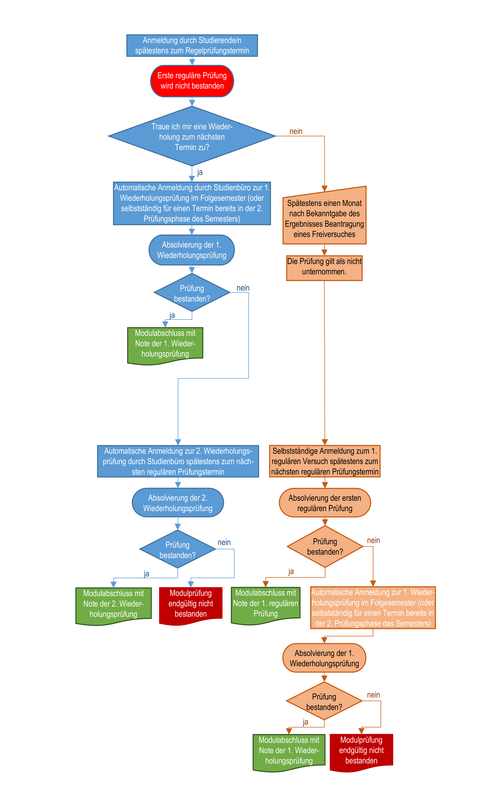 Students can decide to take the next exam in either in the second exam period or in the subsequent semester (not later!). If a failed exam is declared to be a free trial, it is like "not undertaken". After a new regular examination, it can be repeated only once. In effect, also in this case there are at most three exams. The new regular examination has to take place in the subsequent semester or in the next but one. 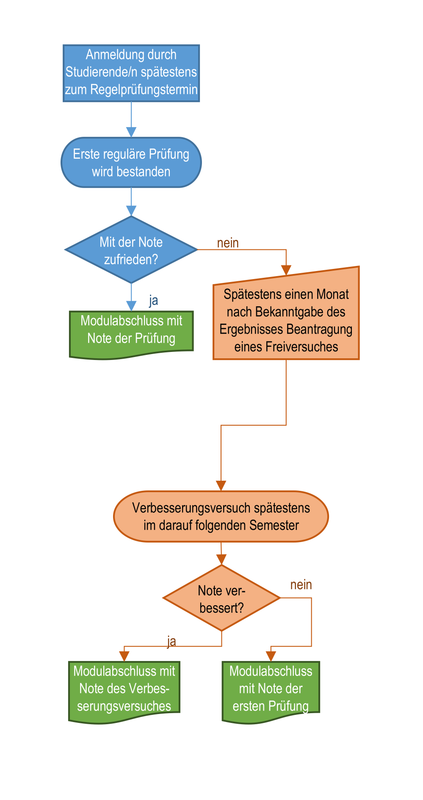 This offers the possibility to postpone the exam and to close knowledge gaps, e.g., attending some lectures again.